A CNN report on the incident contains some troubling details. This isn’t a first offense for this guy. Chapa was fined and suspended in 1994 for using a nail as a spur. In 2002, he spent 10 days in jail on animal-cruelty charges unrelated to horse racing. And in 2012 he was caught hitting his horse in the face during a race, leading to another fine. And yet, he’s in trouble again in 2015. Obviously, the desire to win races is stronger than the weak punishment he has received to date. The industry, as usual for horse racing and greyhound racing, is defending itself by suggesting this is a rare thing. But what about the horses who are injured on a routine basis and what about the horses who are shipped off to slaughter once their racing days are over? The US Congress, within the latest budget agreement, voted Thursday to cut funding for inspections at horse-slaughter plants. Without this funding, horse slaughter plants will not be inspected and therefore will not be able to operate. “The message from Capitol Hill is loud and clear on this issue: Our horses deserve better, and this abhorrent industry will not be tolerated,” said Nancy Perry, senior vice president of ASPCA Government Relations. So hopefully, the proposed horse-slaughter plant in New Mexico will not be allowed to open, at least during the period where this latest budget applies. I hope the cut will become permanent. We can only hope a judge’s extension of a restraining order, against the opening of a horse slaughter plant in New Mexico, will lead to a permanent ban on operations such as this. On Friday, State District Judge Matthew Wilson put the opening on hold for 10 more days, so that testimony can be heard. TribTown.com reports New Mexico Attorney General Gary King is thankfully in a lead role in the effort to stop the plant from opening at all. The effort to block the plant is largely based on food safety. It is true that little will be known about what might have been injected into the horses, prior to being sold to slaughter. This might be the case for race horses. But the primary issue is and should be the horrible means used to kill the horses, such as captive bolts. Shutting down horse slaughter in the US several years back was the right and humane thing to do and it’s still the right and humane thing to do. Sometimes, kids can show more intelligence, logic and compassion than some adults. This is the case for an New Hampshire 11-year-old, who is fighting the good fight against horse slaughter. New Hampshire.com reports Declan Gregg runs a blog, Children 4 Horses. He’s been to Washington, DC three times to voice his concerns and keeps track of related bills. He was named the Humane Kid of the Year in 2012, by the ASPCA. Hopefully, his efforts and the work of others can lead to a full ban of horse slaughter and therefore block the opening of the proposed plant in New Mexico. He is also promoting the SAFE Act, to also protect food safety. For his great mission in helping horses, Declan has earned the latest Pack of Compassion Award. Princess Anne spoke this week at the World Horse Welfare conference and suggested fewer horses would suffer if more were killed for human consumption. She claims people would treat horses better if they thought the horses would end up as food. No way around it, that is Wacky Mentality. And anyone who would treat horses badly, but somehow decide to treat them better if they knew the horses would be slaughtered later, is practicing Wacky Mentality too. She spoke of how in Poland horse owners cared properly for their animals. The Princess Royal said it was only when they were sold for meat and transported live in lorries that they were subjected to poor conditions. So it’s okay that they are subjected to poor conditions on the way to – and at – the slaughterhouses? Has she thought this through? People who really care about horses treat them with compassion because it’s the right thing to do. If some people won’t care properly for horses unless they know they can sell them into the meat trade later, then those people should not be guardians for horses in the first place. An editorial by Peter Fricker, projects and communications director for the Vancouver Humane Society, ran September 8 on the Vancouver Sun website. Fricker covers a lot of territory on animal-welfare topics, from endangered species to habitat loss to horse racing to factory farming to fur farms to bull fighting. He offers one quote indicating that unlike the extinction of animals over the past history of the Earth, human activity is almost entirely to blame for the current extinction crisis. More than 10,000 U.S. thoroughbred horses are shipped annually to slaughterhouses in Canada and Mexico. Most of these are young, healthy horses — their racing careers can end at three years old but they can live to 30. 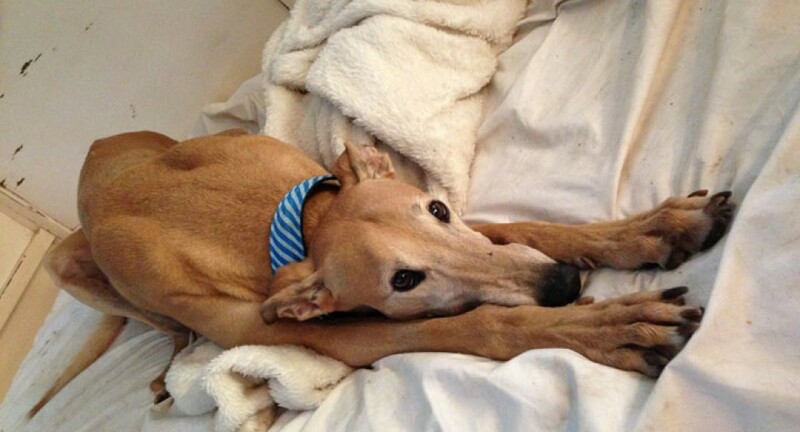 This is a stunning number that outpaces the horrors of the awful greyhound racing industry. The convenient excuse is to claim we have to inflict suffering on animals in vast ways, for financial reasons – or for the jobs the suffering supports. Is our society still so greedy or in other ways so apathetic that we’re supposed to support cruelty and torture as long as it supplies jobs? We should be at a point – in 2013 – where we’ve advanced beyond this point. But we are not there yet. I think most people care. But there exist enough greed and apathy and cruelty around us to maintain these industries and entities and to maintain the protection the government is offering them. So horse racing, dog racing, puppy mills and other horrors still exist because too many politicians refuse to put compassion above profit margins.